Our Mission is to contribute to the elucidation [from a Systems Biology perspective] of the mechanisms underlying basic cellular processes, evolution and interactions among microbes and between microbes and their environment (including the human host) and to translate this knowledge [from a Synthetic Biology perspective] into applications of biotechnological, medical and environmental interest. 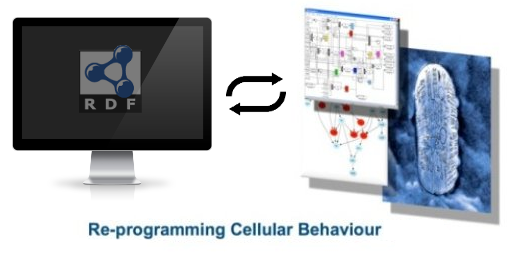 Develop and apply theoretical frameworks supporting (and relying on) experimental research towards the understanding of the various processes and hierarchies of cellular networks and circuitry. The Laboratory of Systems and Synthetic Biology addresses in an integrated way critical issues and novel biotechnological applications in the area Health & Food, Biobased Products and Environment.